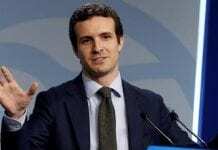 SPAIN’S governing Socialist party has suffered a crushing defeat in regional and local elections with a landslide victory for the right-wing Partido Popular (PP). In Andalucía, there was no regional poll, but the local elections saw the PP win in all the provincial capitals, including Sevilla. This is the very first time the right wing party has taken the largest share of the vote in the region, making it a serious contender to take control of the Junta de Andalucía in nine months time. Meanwhile in the regional polls nationwide the PP vote grew in most areas, as the left wing vote was split between the IU and PSOE. Overall, the PP won almost 10 percent more than the Socialists in the popular vote, taking control of regions and towns run by the Socialists since the 1970s. In particular the PP succeeded in taking control of the key PSOE regions of Castilla-La Mancha and Aragón. The results reflect widespread discontent with the way José Luis Rodríguez Zapatero, has handled the economic crisis. And the Prime Minister was quick to recognise the ‘very clear defeat’ for PSOE. “We have won many times, and we have known how to win. Now we know how to lose,” he said. Adding: “The economic crisis destroyed thousands of jobs. It is a crisis that had profound effects on citizens’ morale. I know that many Spaniards suffer great hardship and fear for their futures. Sunday’s elections were preceded by a week of anti-establishment demonstrations across the country, with an estimated 30,000 protesters camping out in Madrid’s Puerta del Sol central square ahead of the vote. The demonstrators, who are calling for a change to the two party system under the banner ‘Real Democracy Now’, have now vowed to stay on for at least another week. Next articleMissing Amy Fitzpatrick: Was she living rough? I must congratulate the newly formed PVRE ON HOW WELL THEY HAVE DONE IN THEIR FIRST ELECTION!When you consider that they have only been a fighting party for ONLY 11 months and that they have had to go swim against the torrent of indiscretions and abuses hurled at them from others in order to achieve what they have in such a short time THOSE MEMBERS that have worked so hard to achieve what has been achieved, and THEY and the Party Leaders KNOW THOSE THAT HAVE WORKED and THOSE THAT HAVE NOT,it is little short of a miracle what has been done.Congratulations. 16% postal votes in mojacar as opposed to the normal 2 – 3 % . 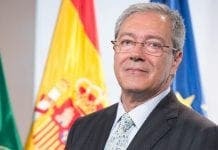 congratulations to mojacar se mueve for obtaining a seat against a well oiled and corruption fueled political machine . Zapatero will go down in history. can now be compared to Romania or even Bulgaria! Its a greek ( Spanish) tragedy! I suggest you take a look at who unleashed an out of control building frenzy, starting in 1995, who did nothing to enforce modern building standards – yes that’s right the old Fascist parties amalgamated into the PP. By the time the Madrid bombings handed an unexpected victory to the Socialist (LOL) party there was nothing ‘no shoulders’ Zapatero could do. Well maybe he could have put a moratorium on golf courses. What could No Shoulders do about – greedy blind bankers/corrupt politicians of all hues/ mayors/ notarios, in fact the whole professional class. If he put a halt to the building frenzy what was there to replace it – nothing then and nothing now. Why not take the positive from the negative – when I saw Spain’s young out there ranting against corruption/the 2 party system/ animal cruelty – it brought a genuine smile to my old cynics face – maybe, just maybe Spain has a chance – anyone for a social revolution.